Choose between Organic white, Organic Portabella, or Organic Baby Bella. 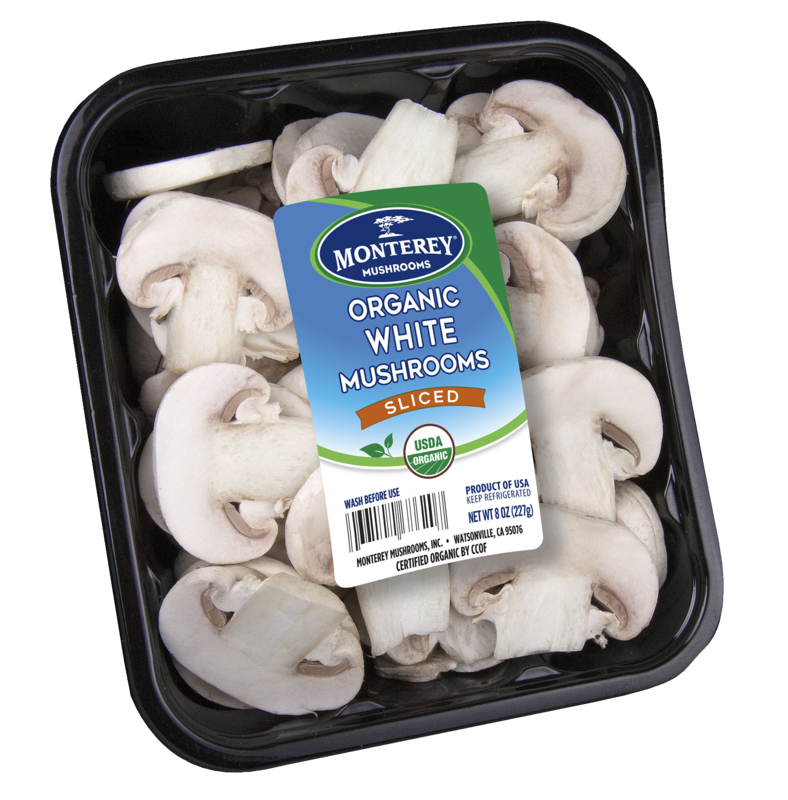 The organic mushrooms grown by Monterey Mushrooms® are certified organic by the USDA. You’ll always find the USDA symbol on packages of our recyclable tills. Our organic mushrooms are produced using methods that preserve the environment and avoid synthetic materials, such as pesticides and antibiotics. Our certified organic mushrooms are produced under the defined set of standards to produce organic food and fiber as determined by the United States Department of Agriculture (USDA). There is not a big difference in how organic and conventional mushrooms are grown. Synthetic pesticides are not allowed in organic production. The main difference is the nitrogen used in the growing process. 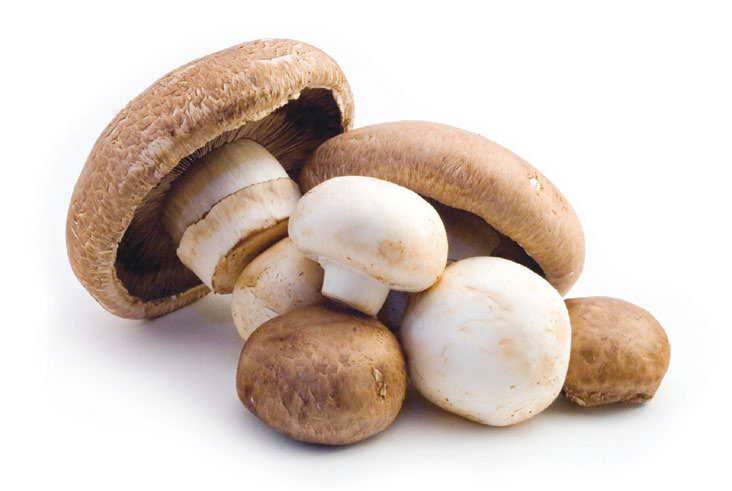 For conventional mushrooms, Urea, a synthetically produced input material is used for nitrogen. Organic mushrooms utilize fresh (or dried) chicken manure for nitrogen in phase 1 of the composting process. 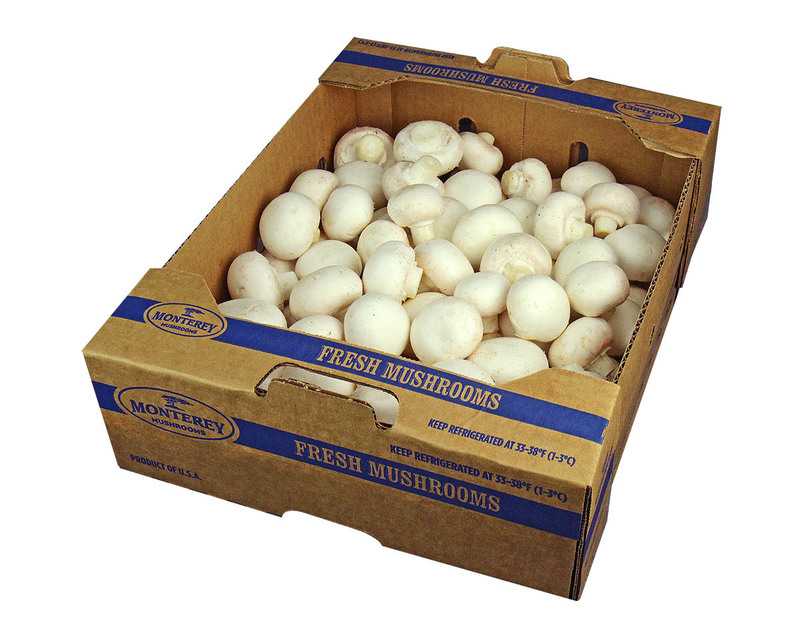 Mushrooms are grown indoors and the compost is pasteurized prior to planting. Available in 8 oz, 16 oz, and 24 oz.